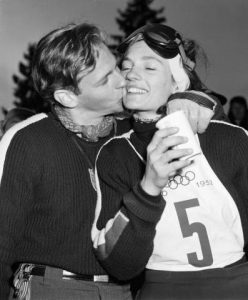 Oslo, Norway – Teenager Andrea Mead Lawrence stood in the Olympic slalom start gate in Oslo in 1952. It was the second run and the 19-year-old from Vermont’s Pico Peak was in fourth – devastated by a fall in the first run. Already owning a gold medal from the debut Olympic giant slalom six days earlier, she could easily have counted her blessings and just hoped for a bronze. But that was not her style. Mead grew up on the mountain at Pico, outside of Rutland, Vt., at her parent’s ski area. 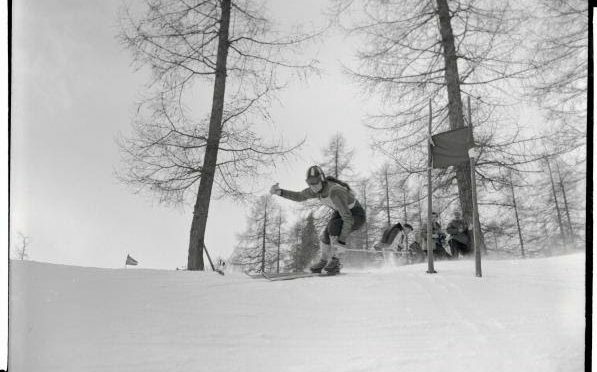 She was a determined young woman who discovered ski racing on a test run down the Lake Placid downhill at the age of 10. By 14, she was racing internationally. And on this day in Norway, she was not about to settle for second, much less third or fourth. In the next minute and 3.4 seconds, she skied a run that would never be matched, leaping to gold and becoming a double Olympic champion. She had made her Olympic debut at 15, four years earlier when teammate Gretchen Fraser won silver in combined and gold in slalom. Mead’s gold in slalom made it three straight over two Olympics for the American women in the new technical events. Four years later, Mead was again in the Olympic start gate in Cortina d’Ampezzo, Italy, narrowly missing a medal, finishing fourth in GS. She went on to be a role model for future champions, like young Penny Pitou who medaled in 1960. After settling in Mammoth Mountain, Calif., she became an active environmentalist. She was inducted into the U.S. 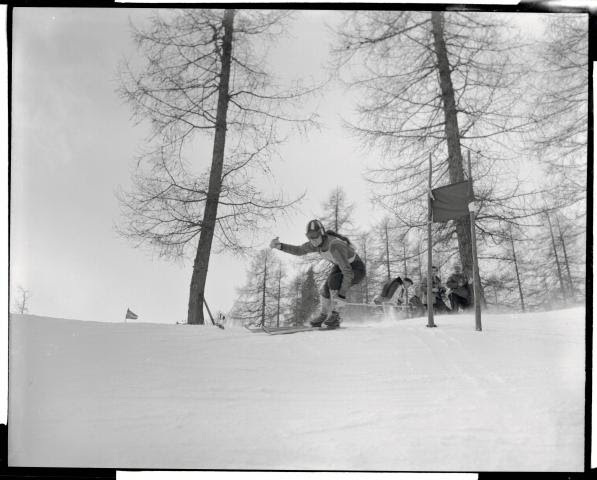 Ski and Snowboard Hall of Fame in 1958 and was later named to the U.S. Olympic Hall of Fame, just days after her death in 2009. But one of the greatest recognitions of her dramatic accomplishments as an Olympian came from noted filmmaker and documentarian Bud Greenspan, who in 2002 put her atop his list of greatest Olympians of all time.